Everyone knows smoking cigarettes is not good for them. Everyone knows they spend too much money on cigarettes. So why do people keep smoking? 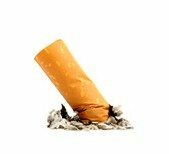 What’s the real reason why people don’t quit cigarettes?